Estrich will be a Los Angeles-based partner in the appellate practice at Boies Schiller, which has made a string of recent hires in California. 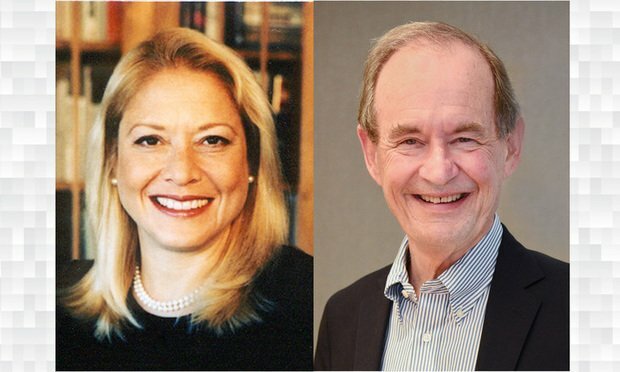 Pictured, from left, are Susan Estrich and David Boies of Boies Schiller Flexner. Boies Schiller Flexner has made a major hire in Los Angeles, luring prominent litigator and law professor Susan Estrich away from Quinn Emanuel Urquhart & Sullivan, where she has spent the past decade.